More commonly called just GT’s by most anglers, Giant Trevally are marauding brutes right up there with the best. 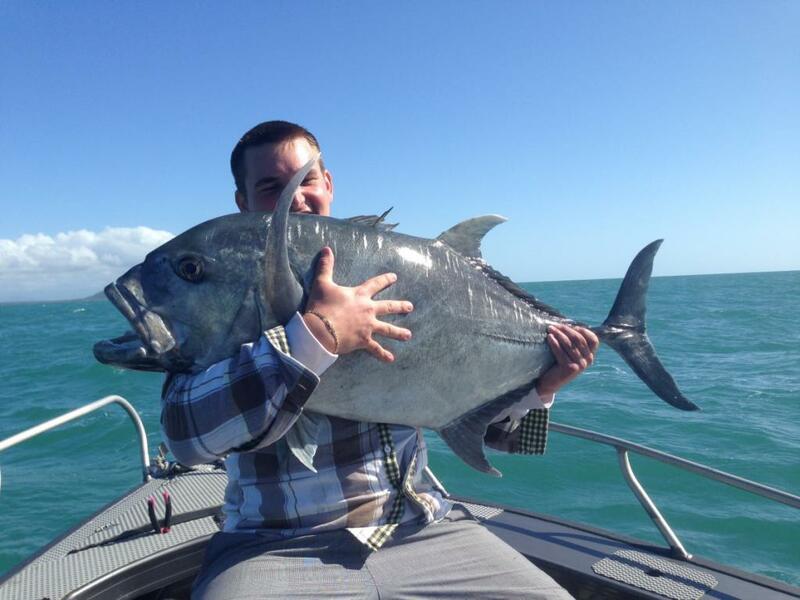 Commonly caught by both lure and bait fisherman, specimens range from the smaller 2-3lb school trevally commonly caught in the estuary environment, right up to the 50lb thugs. 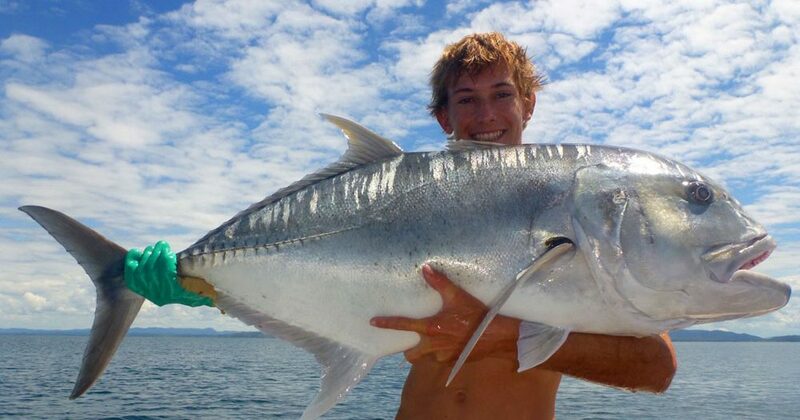 Caught in the rivers, estuaries, rocky headlands, the real brutes are usually found around the reef structure and current lines, and these magnificent fighting fish probably offer (pound for pound) one of the hardest fishing contests in the tropics. 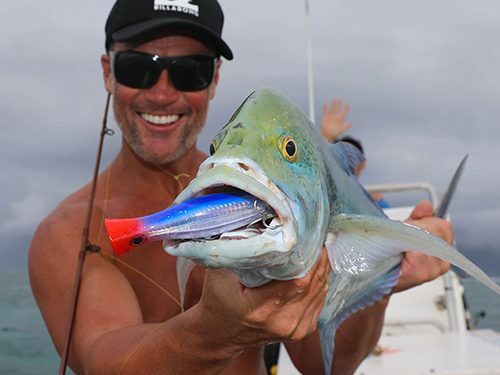 They will repeatedly crash surface poppers and fizzers with great gusto until hooked, ambush deep diving lures around any structure and pick off a live baitfish or prawn fished along sand bar drop offs and estuary channels. Fish to 25kg (50lb) are prime targets but will require the best quality tackle, many big fish being lost to the razor coral edges, barnacle encrusted rocks, and snags. Good quality 6kg tackle is the minimum required. There is a growing sector of the sport where GT’s alone are targeted on the Barrier Reef. Japanese visitors in particular undertake specialised charters for these fish, which they regard more highly than Black Marlin. Now that says something for their fighting qualities! Fly fishing techniques are also proving very successful on GT’s but it’s not for the faint hearted. Golden Trevally are probably the second most important member of the trevally family encountered in Tropical Australia and are relatively common captures in our tidal estuaries, rivers and off the sandy beaches. During the cooler months of May to September, fish to 20lb patrol sand bar drop offs or gutters in search of tucker. They are more often caught using bait fishing techniques than lures but will also take medium sized lures and flies if presented in their vicinity when in feeding mode. 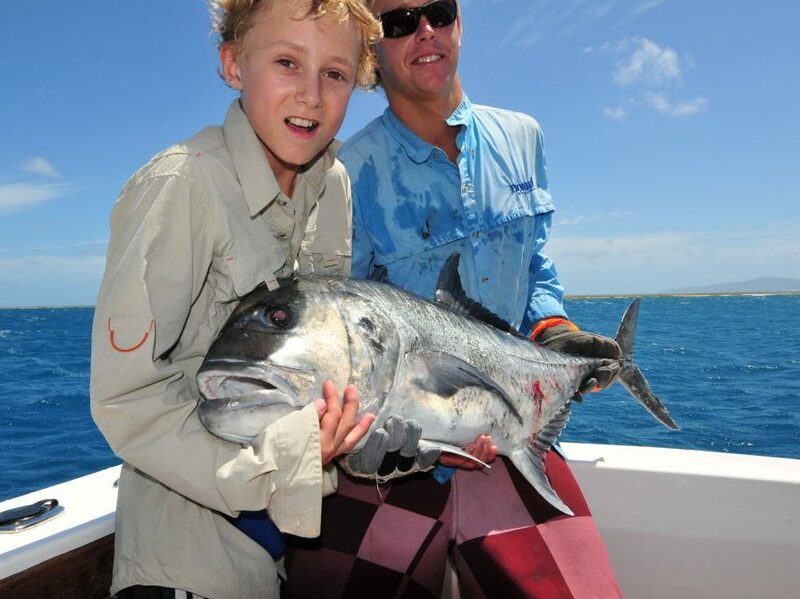 Like all the trevally family they are a prime sportfish on the right tackle, and their long and dogged fight is an excellent reward to their hook up. A running sinker rig, fished with fresh or live prawns, strip or live fish baits will be successful if they are about. An excellent eating fish if cooked fresh, most trevally species do not handle the freezing process too well and are best released to fight another day if cooking facilities are not available on the day. Various trevally species including Turrum (much darker, but similarly looking), can also be caught by using bait fishing techniques. Hang on though as these fish pull really hard. Smaller trevally are quite good eating when fresh but most fish are released after an enjoyable fight.